The Pacsafe Carrysafe 150 GII anti-theft sling camera strap is Designed to hang upside down and diagonally across the body. The slider helps get your eye to the viewfinder in a matter of seconds, while the slash resistant strap ensures you focus on the moment. The Camsafe® camera mounting plate has two attachment points to help ensure optimal protection against opportunistic theft, accidental drops and makes taking photos easier while out and about. 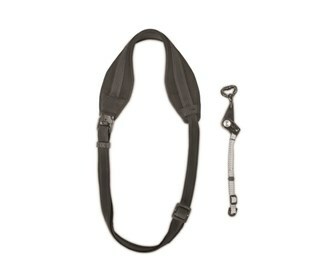 Strap Circumference : 40" - 57.9"
The Pacsafe Carrysafe 150 GII - Black has many exciting features for users of all types. See the Pacsafe Carrysafe 150 GII - Black gallery images above for more product views. 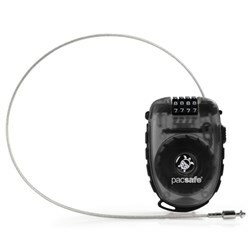 FactoryOutletStore stocks a full line of accessories like 4 Dial Retractable Cable Lock and Combination Lock for the Pacsafe Carrysafe 150 GII - Black. 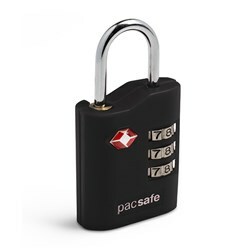 The Pacsafe Carrysafe 150 GII - Black is sold as a Brand New Unopened Item.